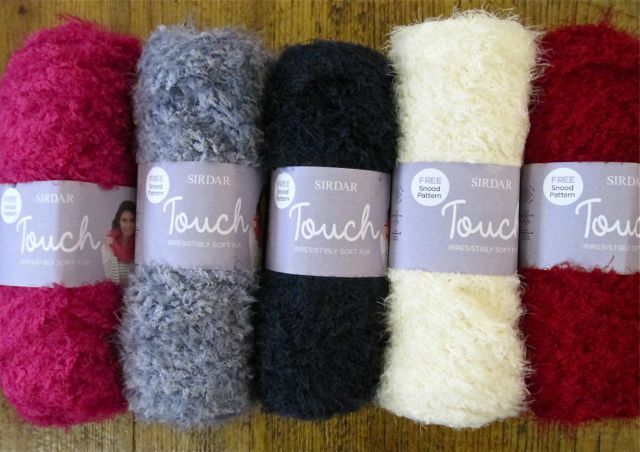 of some of Sirdar’s yarns, including many from their premium Sublime range. And they are delicious! 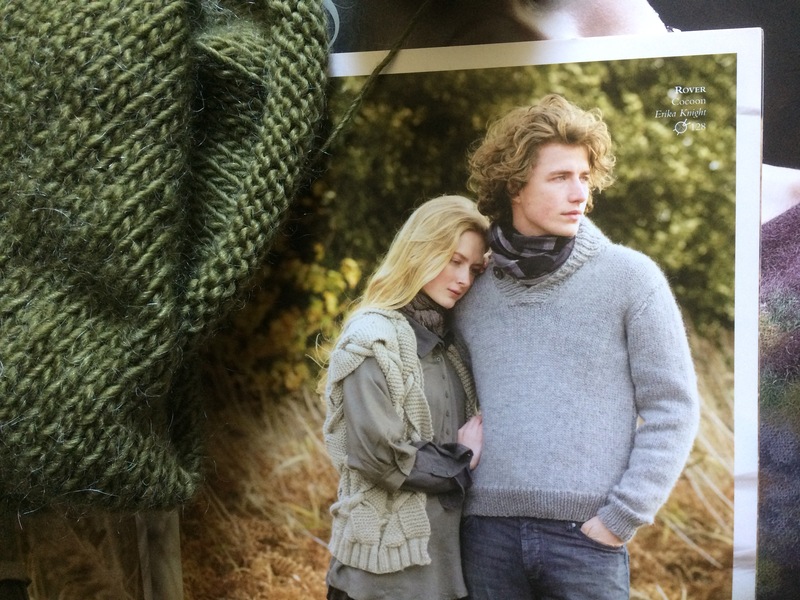 That Simply Recycled is a lovely yellow, for instance – other colours are available – and knits up very nicely. 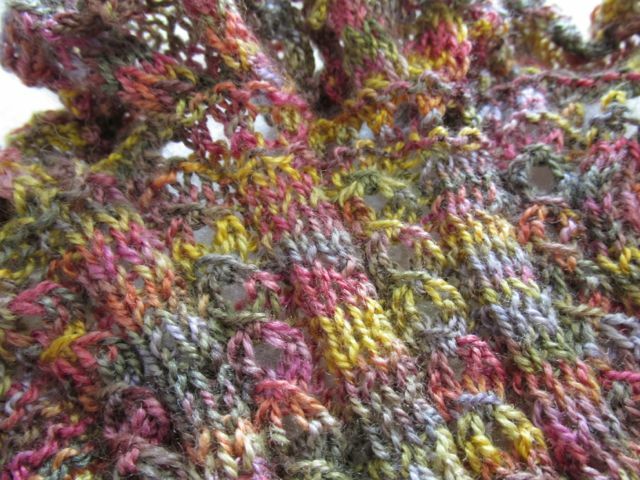 Or then there’s Smiley Stripes (at the front of the previous photo), a Sublime yarn with bamboo supposedly for baby and children’s knits, but which looks equally good made into something like a simple summer cowl for a grown up… sigh! The holiday season for some is coming to an end, but for others it is just starting, and September is a great time to visit this area, incidentally, when we often have gorgeous weather, so much so that there’s a phrase for it: haf bach Mihangel, St Michael’s little summer. 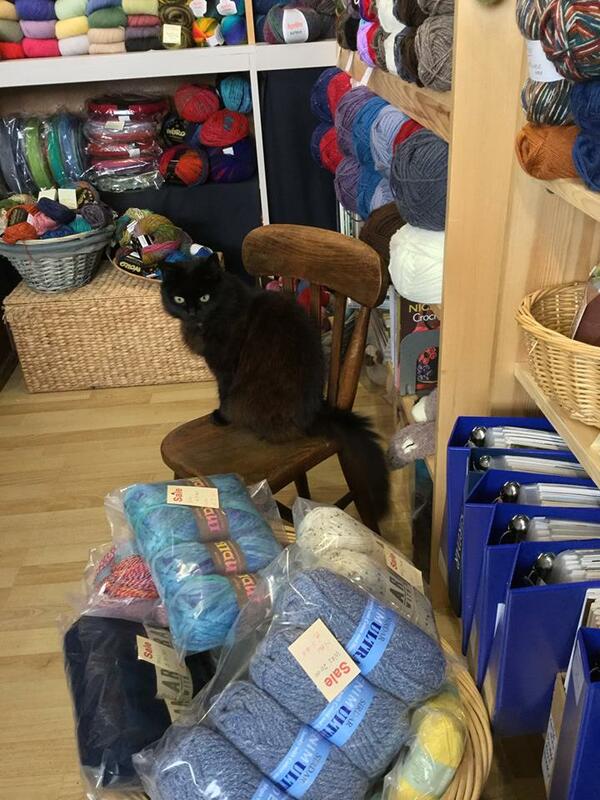 And it’s worth remembering that yarn bought when you’re on holiday doesn’t count as adding to the stash. Ahem. The Boss likes to keep an eye on things (and has a lovely new collar). 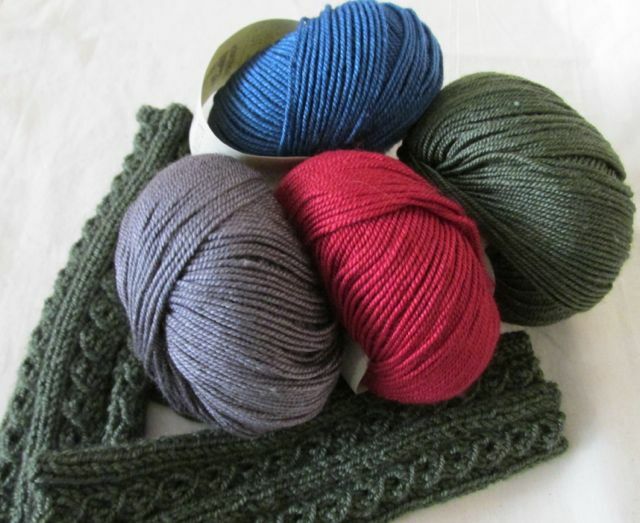 What’s on the needles now? 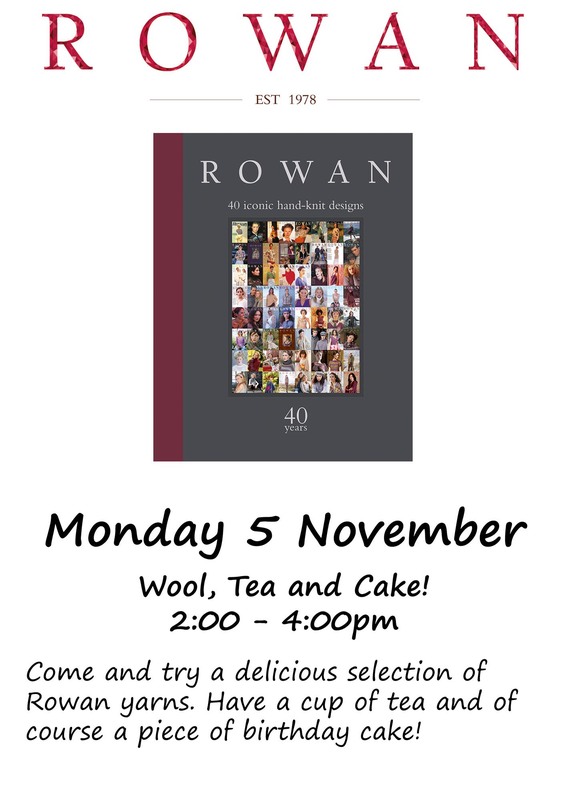 Sometimes it’s difficult to decide what to knit – so much choice, so much choice! 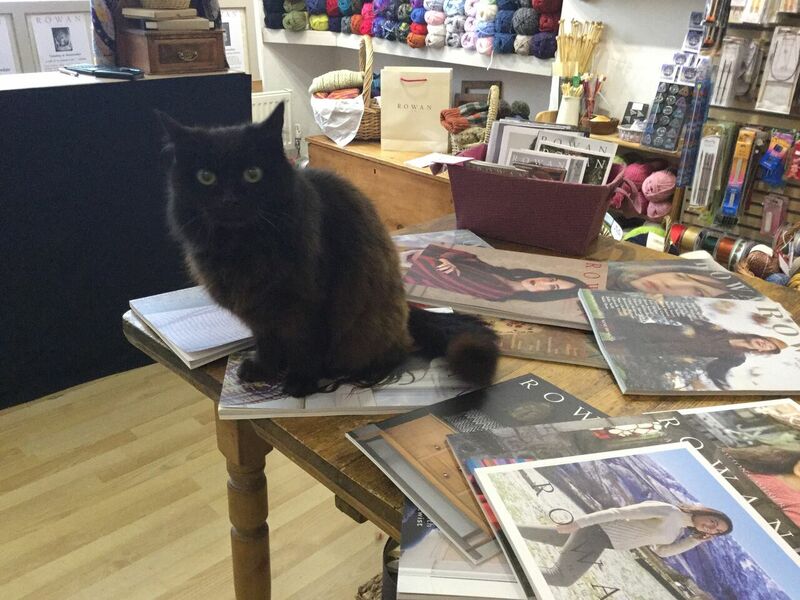 Here’s the first of an occasional series, showing what we – Angharad and Kate, Bramble doesn’t really care for knitting – are actually working on at the moment. Perhaps that should be which of our many WiPs (works in progress) is getting attention, cough, cough. 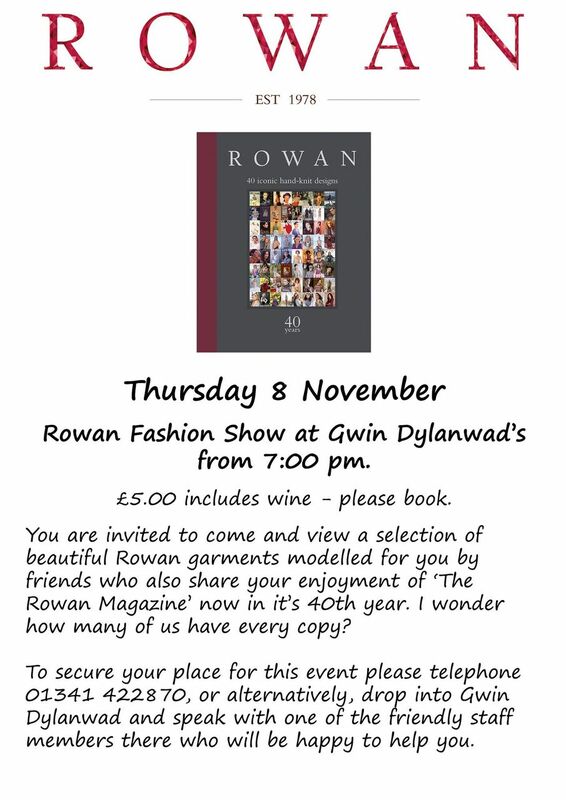 This pattern – a staggered rib – would also look fabulous in Rowan’s Big Wool. 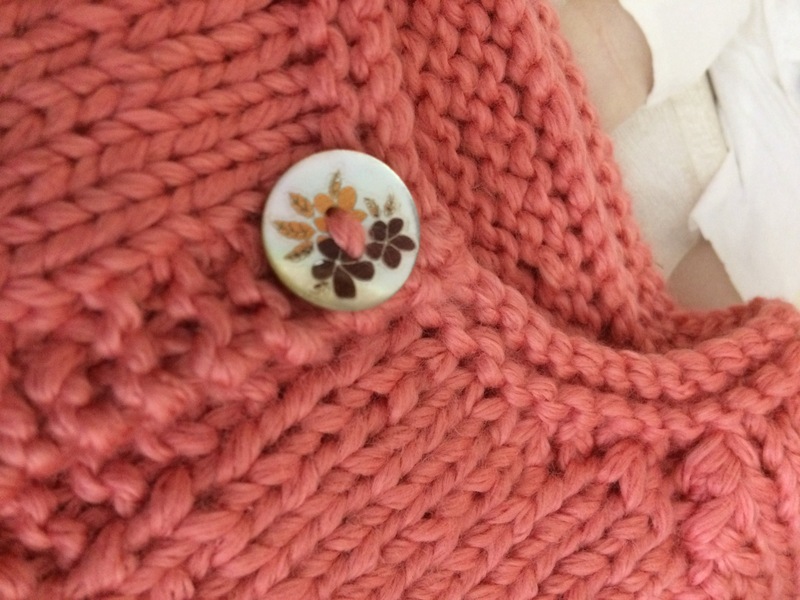 It’s one of Angharad’s own patterns, so do come in and ask. It will soon be finished, hopefully just in time for the cold snap they keep saying is just round the corner. 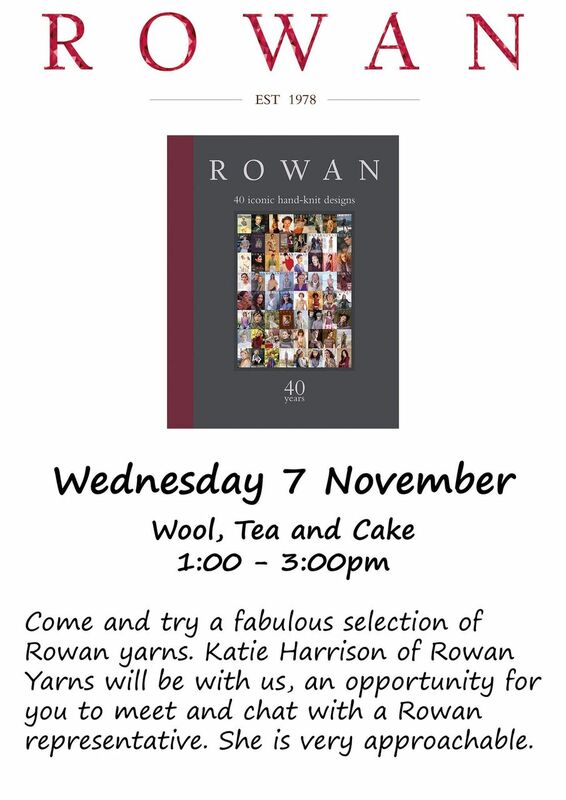 Kate is working at the other extreme, knitting a top in Rowan Felted Tweed on 3.5mm needles. Rowan generally recommend 3.75mm for this yarn, but Kate knits fairly loosely so she’s gone down a size to get the right gauge. 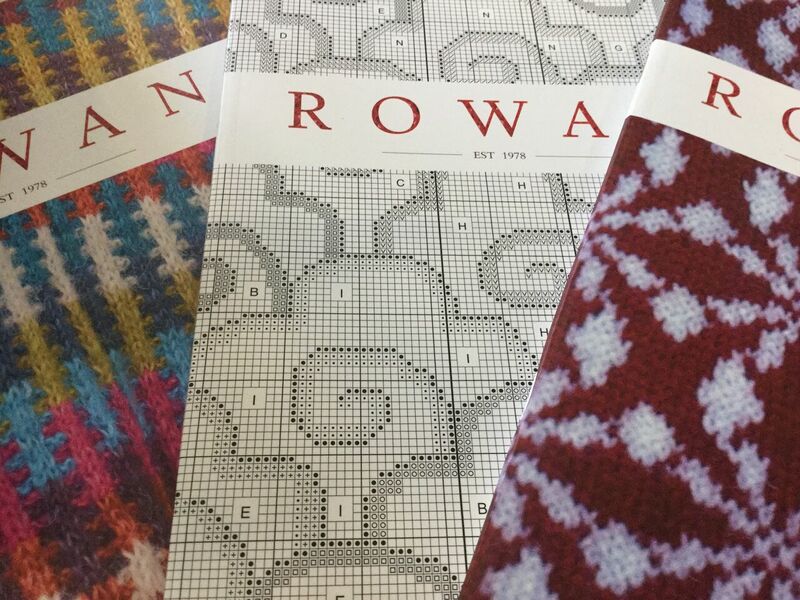 The pattern, a classic by Kim Hargreaves called ‘Salina’, is now available through Rowan’s Ravelry Store – and if you don’t know about Ravelry, there’ll soon be some information on here which will tell you more and convince you that it’s worth signing up (it’s an amazing website/pattern and yarn database for anyone who knits, crochets, spins, or who just loves all things woolly – and it’s got nearly 6 million members worldwide). The colour, by the way, is called Ruby. 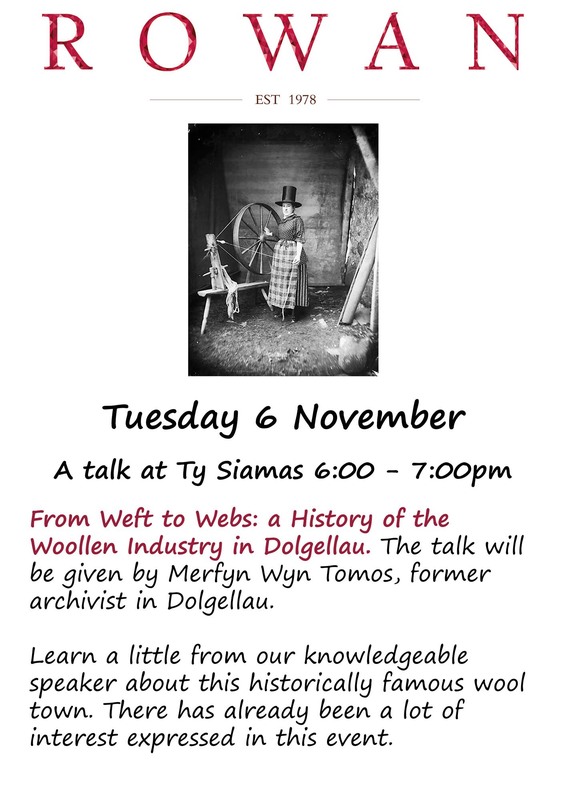 For once, a yarn name that makes sense! 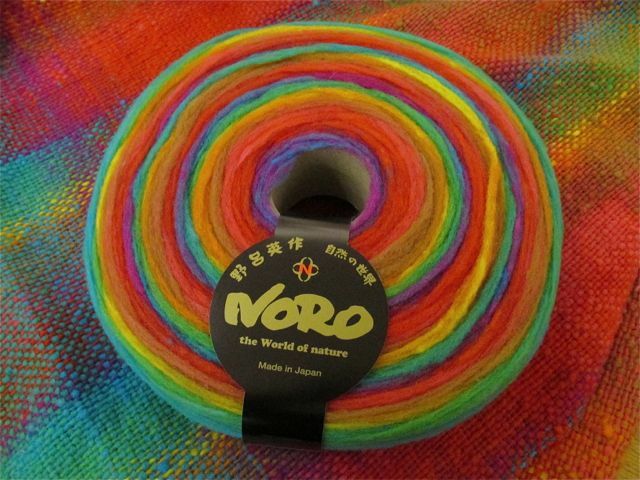 WOWZER – Noro’s Rainbow Roll is here! 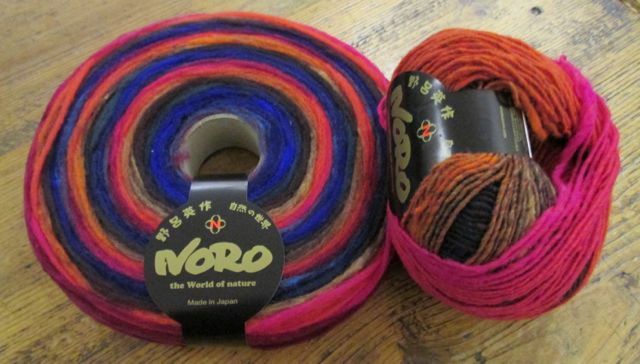 Sorry about the overenthusiasm, but Knit one… is a huge fan of Noro, and its latest offering, Rainbow Roll, is amazing. 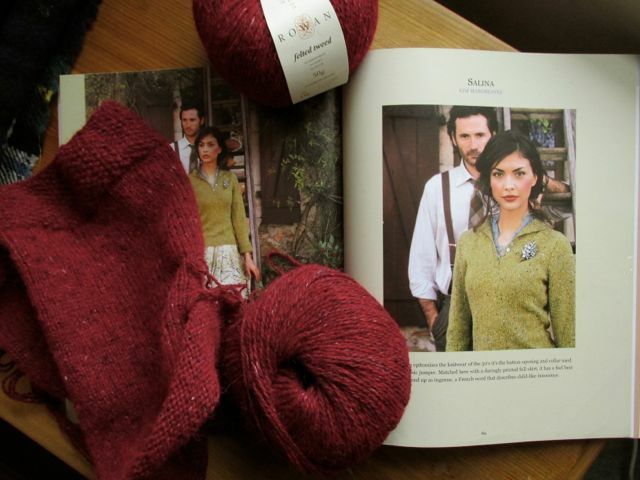 It’s not available everywhere, so Knit one… is very honoured, and it won’t be around for ever. Rainbow Roll is 100% wool pencil roving – for non-spinners out there, that essentially means it’s unspun – in the usual wonderful Noro colours. 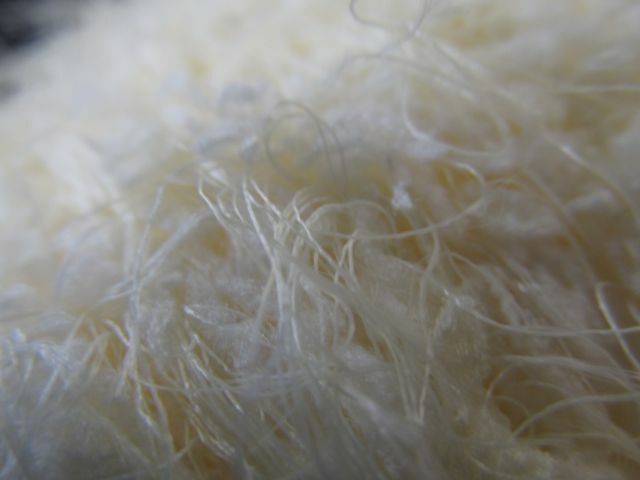 Here’s a close up so you can see how soft it is, which also explains why most of the shots in the gallery below had to be taken through the plastic. 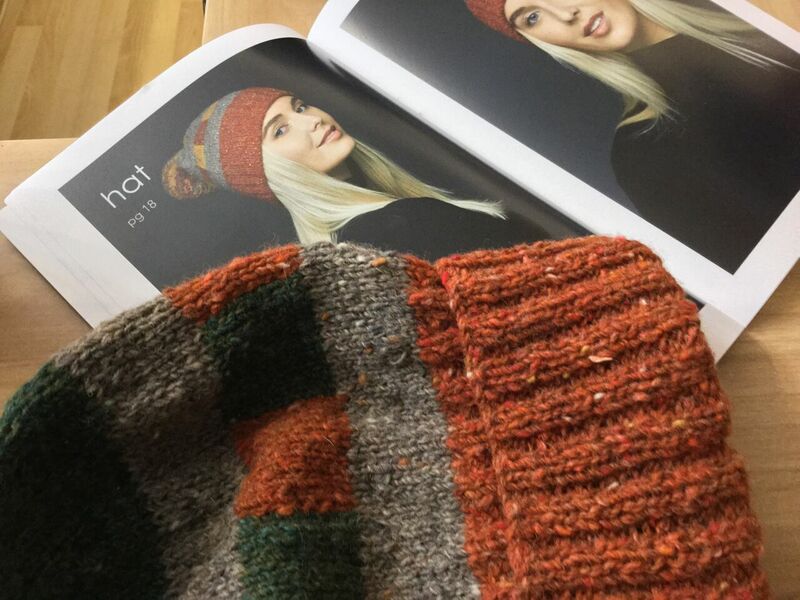 It can be spun with, naturally, but it can also – carefully – be knitted, and there are examples on Ravelry of hats and shawls, together with some helpful information. 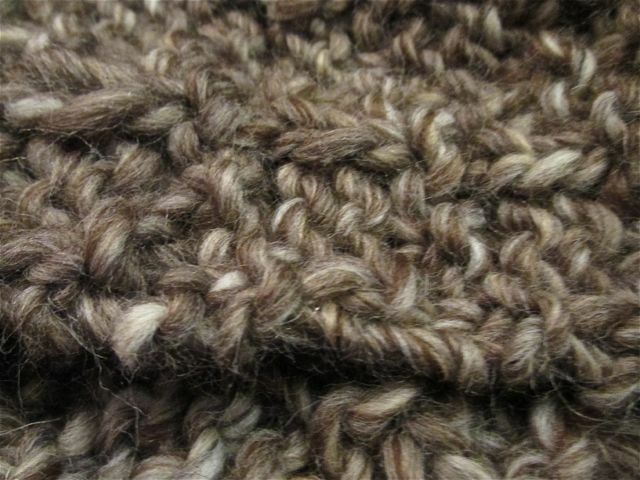 Of course, not everyone is on Ravelry (worth joining, though, and free), so here’s the most important tip: go gently and don’t pull at the yarn. 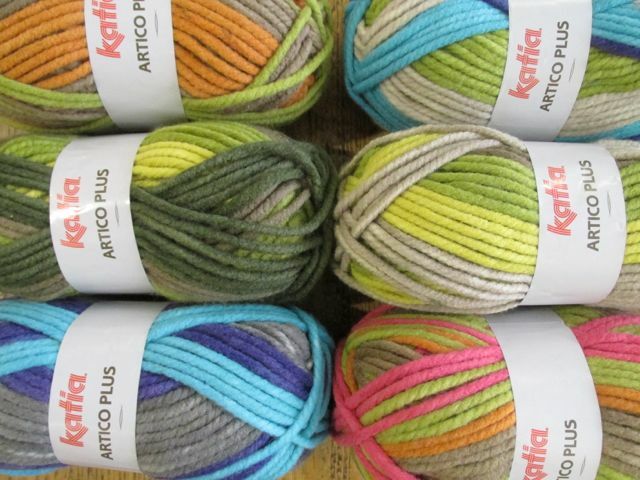 gives blocks of colour, and the Kureopatora adds stability. 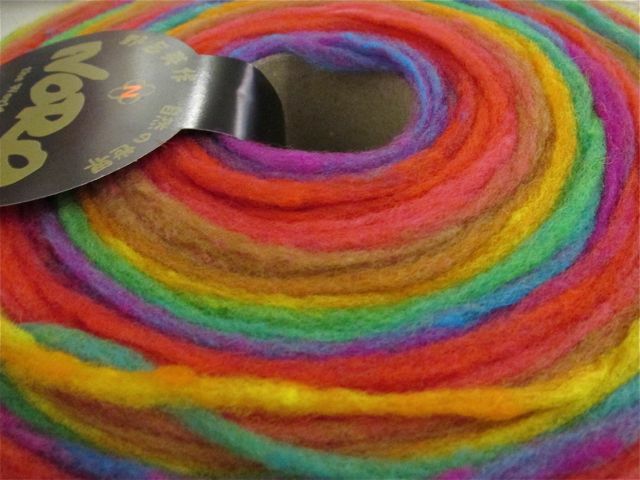 Some knitters have suggested holding the Rainbow Roll with another yarn, too. Anyway, whatever the use Rainbow Roll is put to, it’s fab. Here is a gallery of the colours which are available, not including the two in the main pictures; just click on an image for a slideshow. What else? Oh yes. Each disc is 100g in weight, and costs £12.95. And there’s more yumminess. 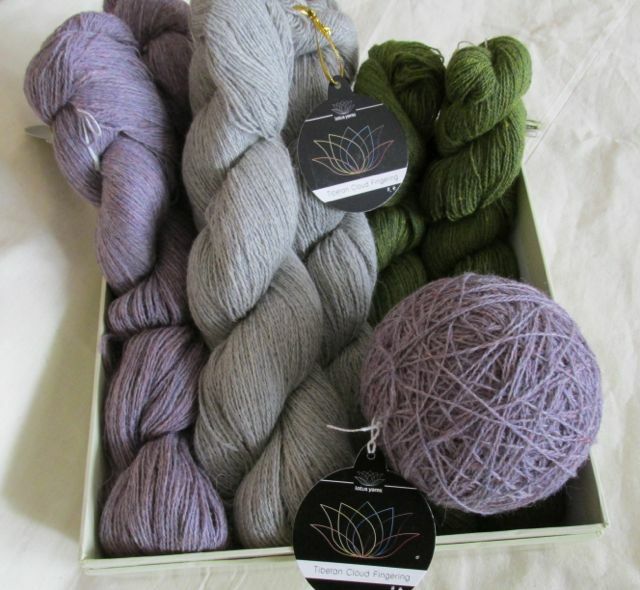 There are two more delights from Juniper Moon, and one amazing yarn from Lotus Yarns. 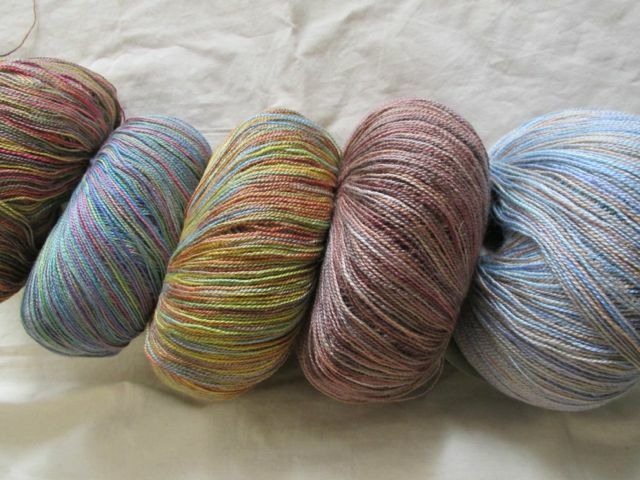 First, here are a couple of tempting delights from Juniper Moon’s Herriot range. 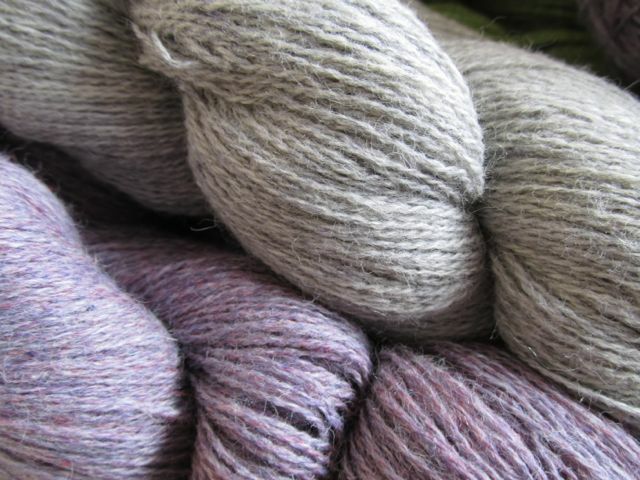 First up is their Herriot DK. 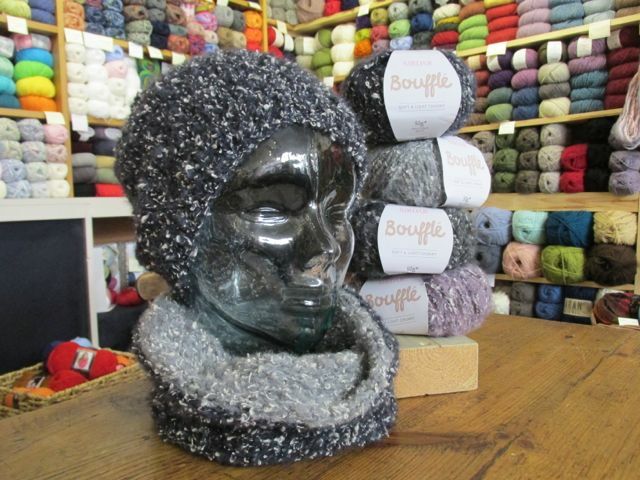 This is possibly the softest yarn in the shop (possibly – testing may be needed) as it’s 100% baby alpaca. 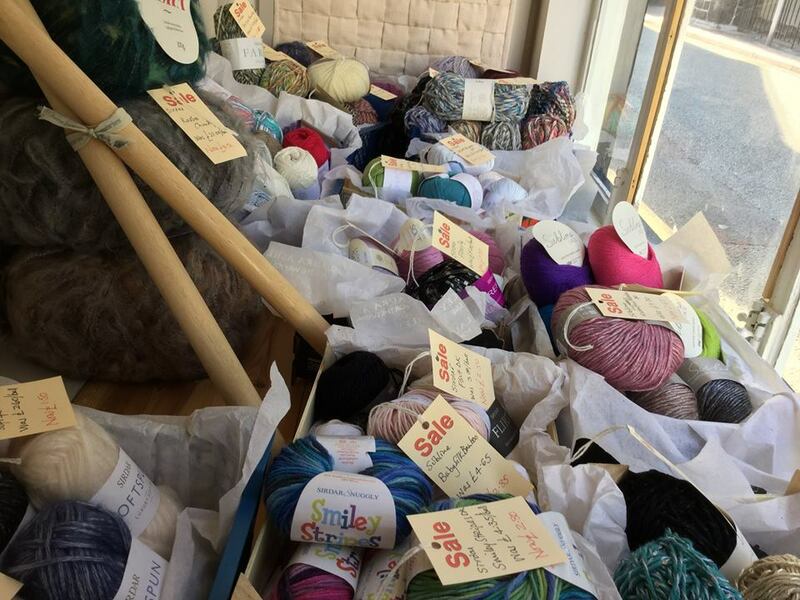 Each 100g skein has 200 metres of yarn and sells for £13.95. We did have five colours but one sold out almost immediately – a deep jade / petrol blue. These, refreshingly after their Findlay range, have simple numbers: 1002, the maroon; 9, the natural; 1016, the almost-limey green; and 1019, the mid-blue. 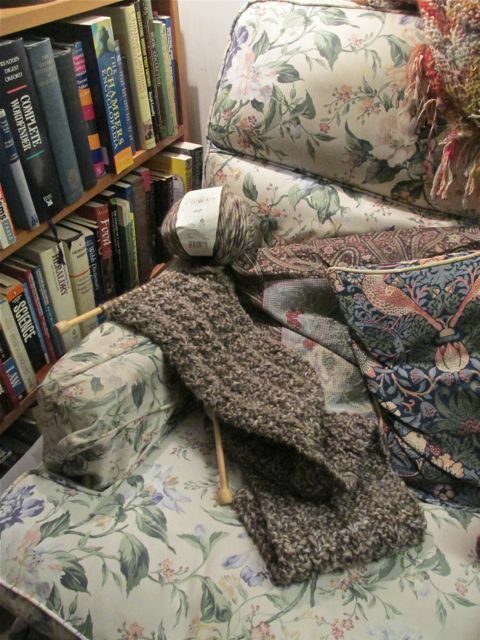 but they’ll knit well to anything appropriate. 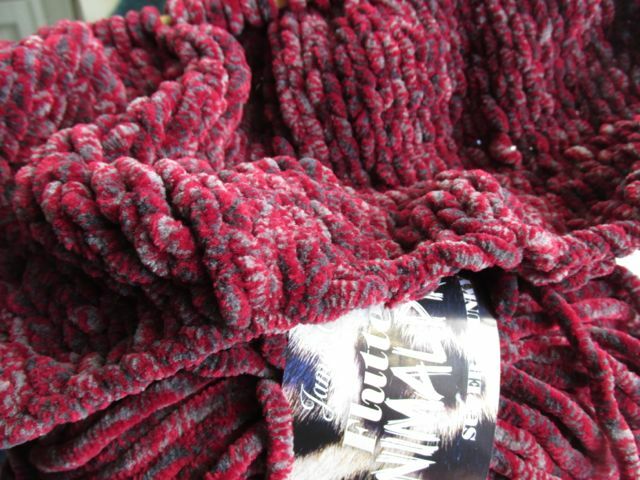 This is also in 100g skeins, each one 420 metres long, and is a mix of 75% alpaca and 25% polyamid (for strength). Again the colours are numbered. 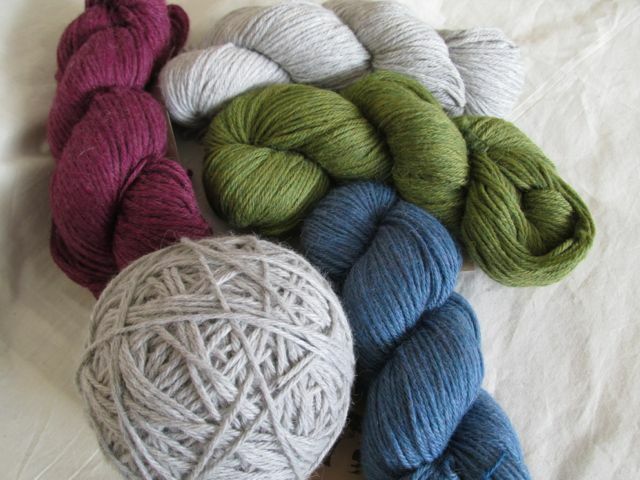 From the top: 2001 is the grey; 2004 is the soft brown; the soft denim blue is 2010; 2011 is the maroon and the lovely charcoal grey is 2006. 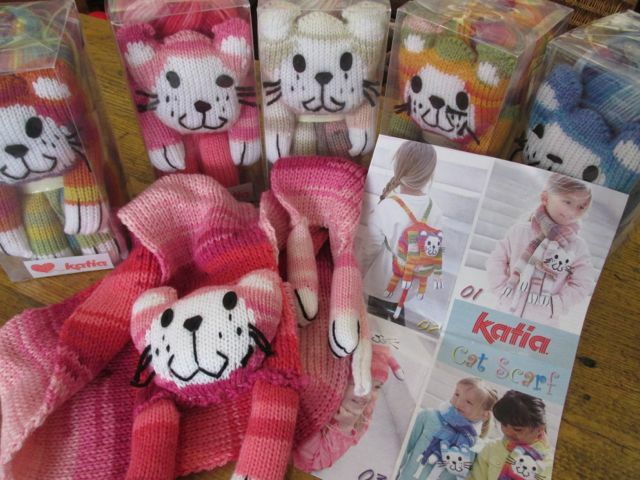 The retail price is also £13.95. And yes, again there are patterns. 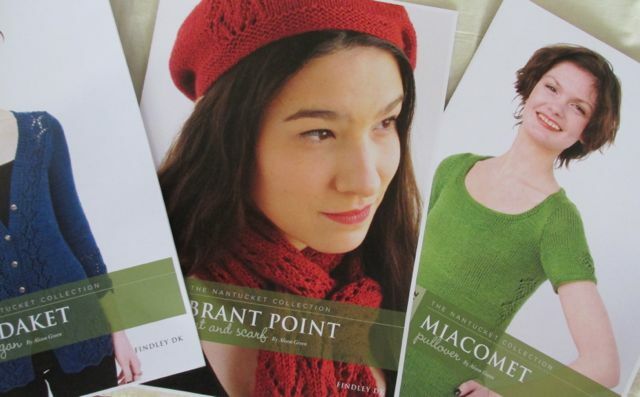 There’s also a Juniper Moon pattern book, which has some lovely designs in it. Beautiful. 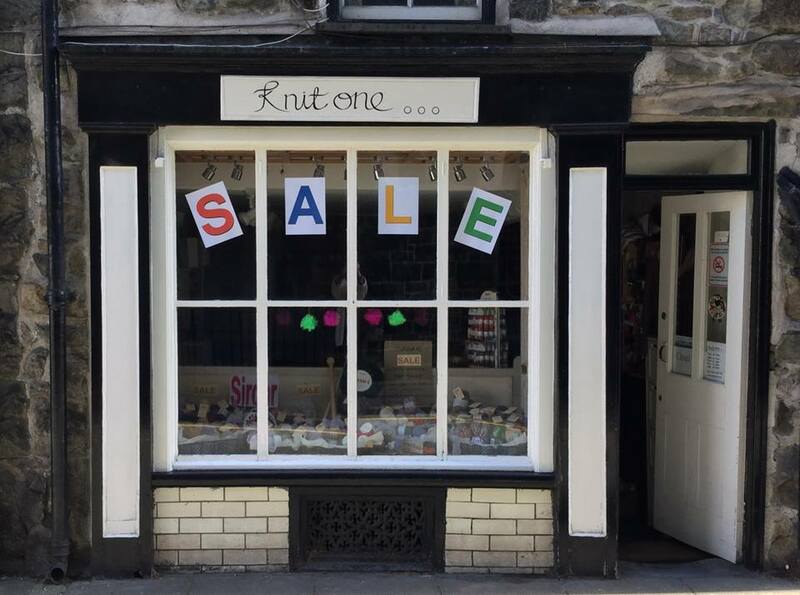 Now for the details: the skeins are 50g, 450 metres long, and sell at £11.95. After a really busy summer, It’s wonderful to be able to just concentrate on a couple of new finds. 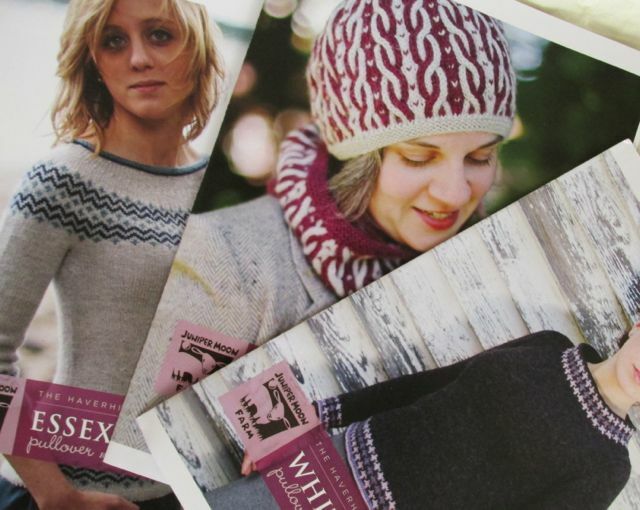 Juniper Moon are a small American company (you can find some information about them here) whose yarns are just becoming available in the UK. They are gorgeous. See what you think! 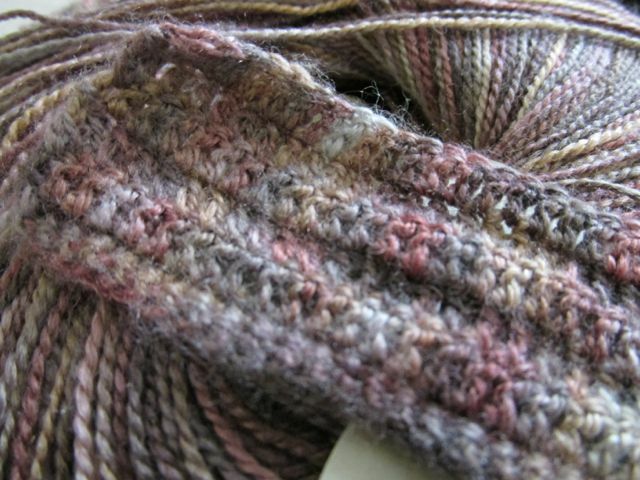 The first one is a beautiful variegated laceweight called Findley Dappled. 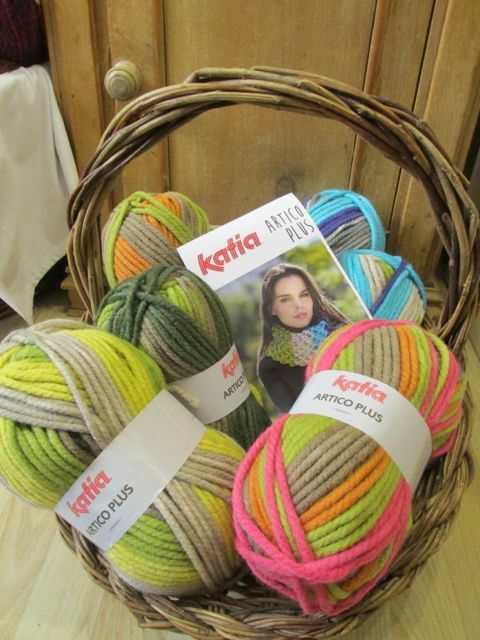 It’s in fat 100g balls, with an amazing 750 metres on each ball – meaning that one ball has easily enough for a whole lace shawl. 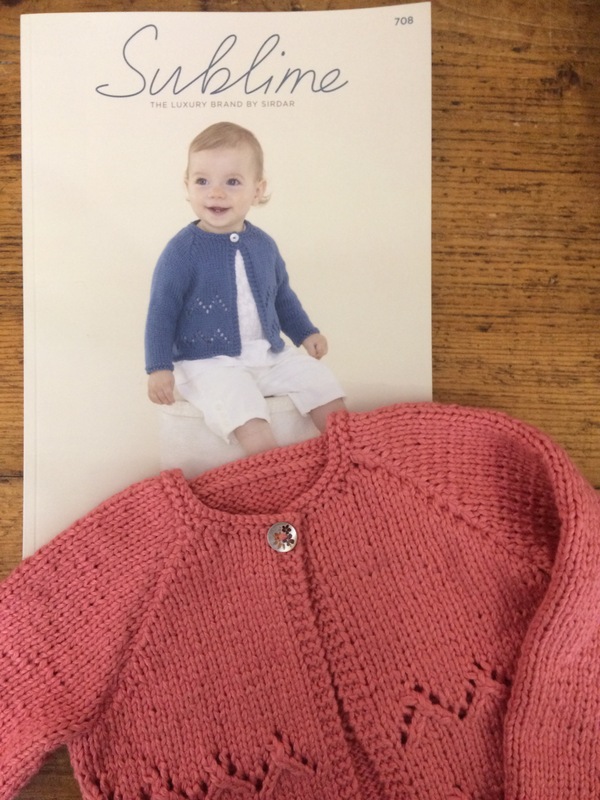 It’s 50% merino, 50% silk, it’s sooooo soft and it’s £16.95. (who comes up with these names? 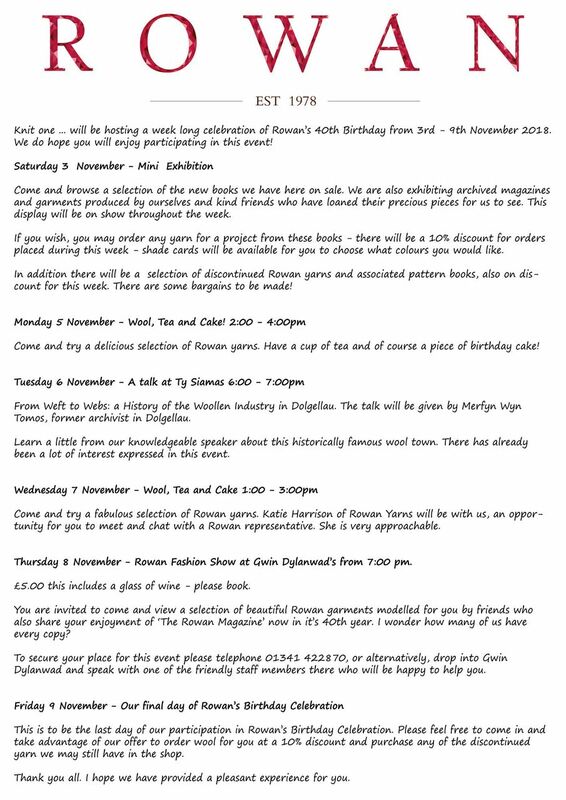 ), Macaw, Sea and the rather more descriptive ‘yellow/green/pink’. Well, it’s a better name than Roast Turkey. 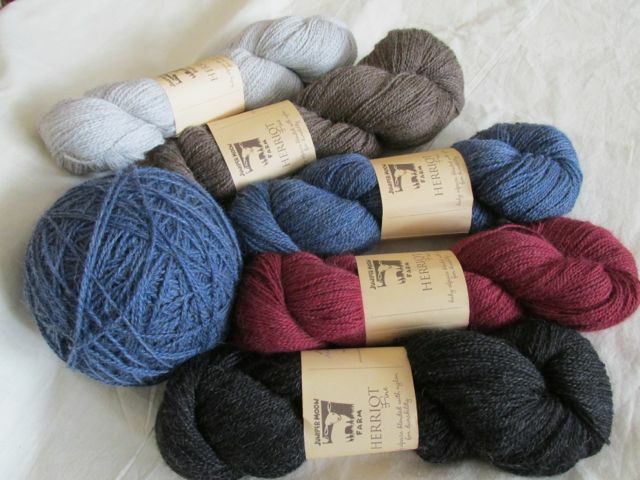 The other yarn from their Findley range in stock with Knit one… is Findley DK. 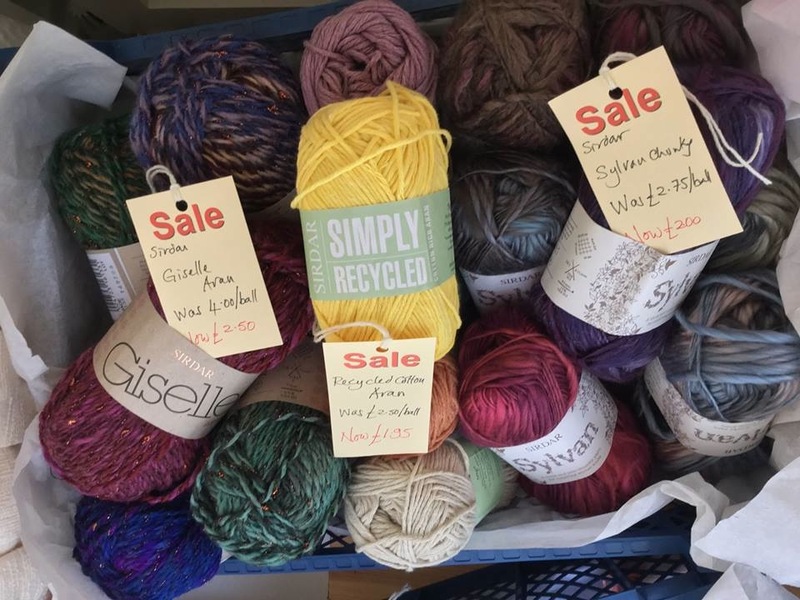 This is a 50:50 mix of extra fine merino and a mulberry silk blend; there’s a generous 199 metres to each ball and it retails at £6.95. 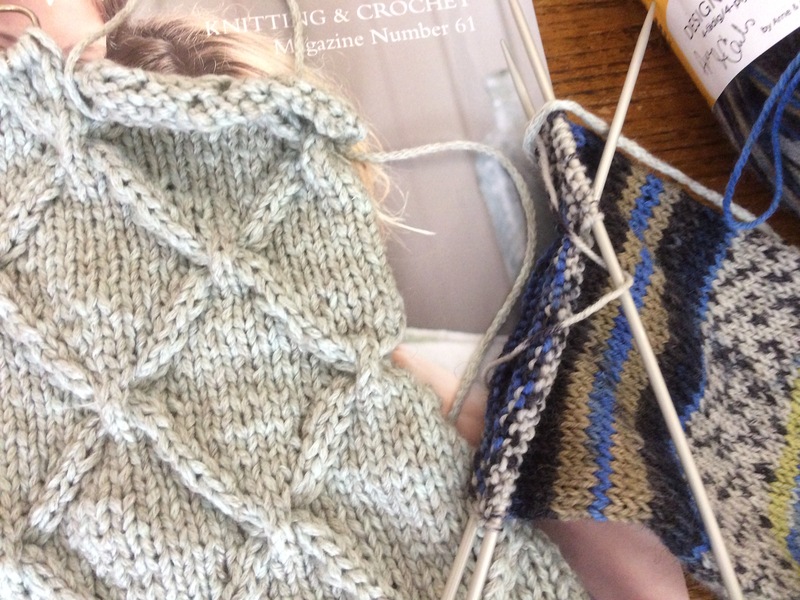 It’s lovely to knit with, by the way – and one ball will make a pair of fingerless mitts like the ones below (pattern from Knit one…). 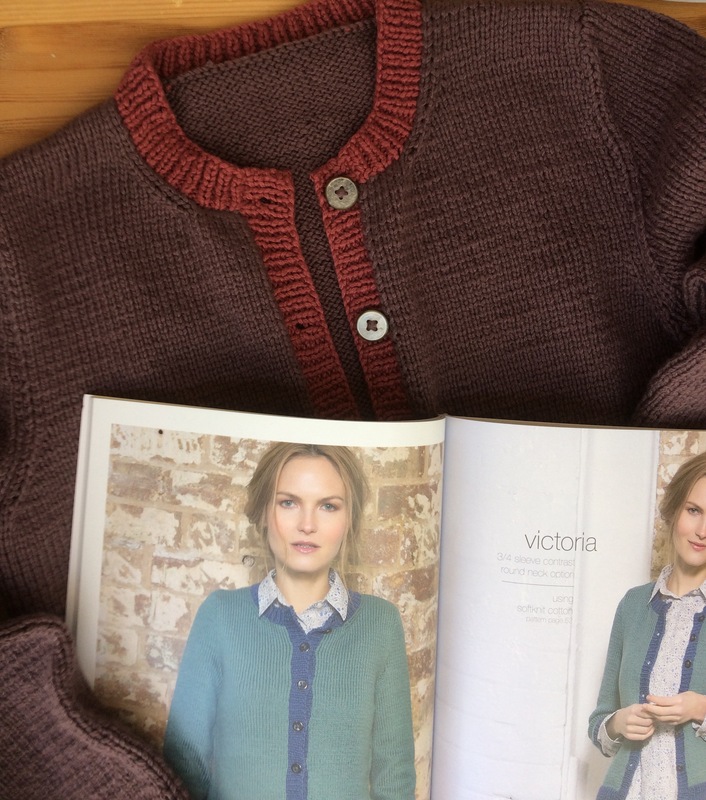 It’s available in Green (an olive shade), Garnet, Graphite and – wait for it – Rappahannock (otherwise known as a beautiful petrol blue). The light in the photograph doesn’t really do the colours justice – they are beautiful. 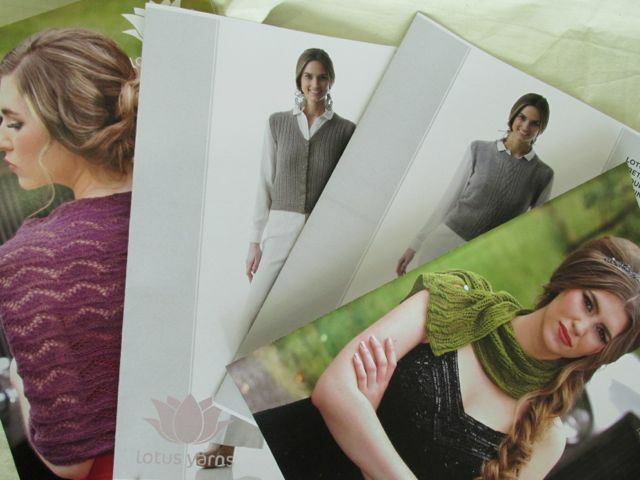 but it’s a fine double knitting, and can easily be used in any appropriate pattern.